Home / News and Media / Bollywood Diva, Gul Panag Has A Dream Find Out What? Jail can be be a disguised place for the dignified person, and is a scary situation for anyone to shudder. 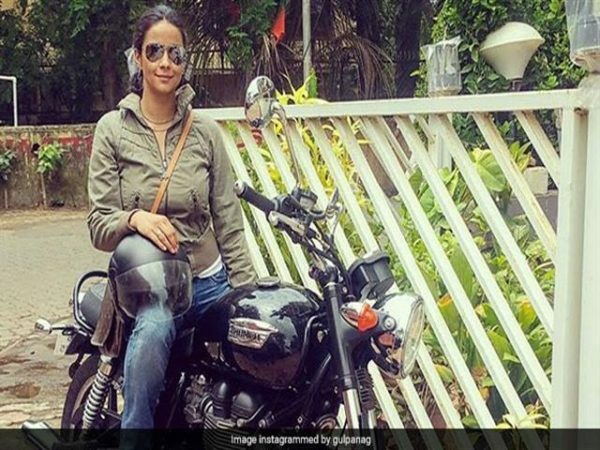 That maybe the reason why the bollywood diva, Gul Panag dreamt of her being in the jail, she recently dreamt of her being behind the bars for riding without a helmet. She posted on her instagram post “Dreamt that I was in jail. For riding without a helmet.” Though her post created a lot of awareness for the two wheeler riders, that they should not ride without helmet and should always use the protection while riding their two-wheelers. This 39 year old model turned actress highlighted on her instagram that, “NEVER, EVER RIDE WITHOUT A HELMET. No matter how short the distance.” She also said that whatever be the situation one must not neglect the helmet, no matter how much he/she want to look cool or avoid their “helmet hair” to which she also added “Also, it’s not a handbag. So don’t put it on your arm”. This post of her dream was partnered with the picture of the bollywood diva sitting on her bike with the helmet in her lap and her 7000 fans liked her post within 6 hours. for the protection. He tweeted the video, which showed him talking to the bikers about wearing helmet and adviced them to wear helmet next time. However, this is the best reminder to the bike riders that they should wear helmet.